Europe minister Michael Russell is being urged to clarify whether talks have taken place with the Spanish government about the prospect of a separate Scottish deal on Brexit. 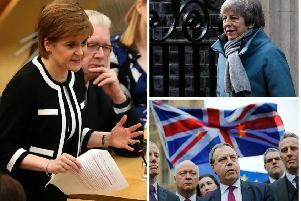 He told an audience in Brussels talks had taken place to secure a stand-alone Scottish deal which would secure access to the EU single market through organisations like the European Free Trade Agreement (EFTA). Spain has been an outspoken opponent of an independent Scotland being allowed to automatically join the EU, amid concerns it would encourage Catalonian nationalism. The Scottish Conservatives are calling for Mike Russell to “urgently clarify” his plans. Mr Russell’s comments came as Axelle Lemaire, France’s minister of state for digital affairs and innovation, said that her government had “sympathy” for Scotland’s position following the European Union referendum, but would not enter into “bilateral discussions” outside of official Brexit talks.